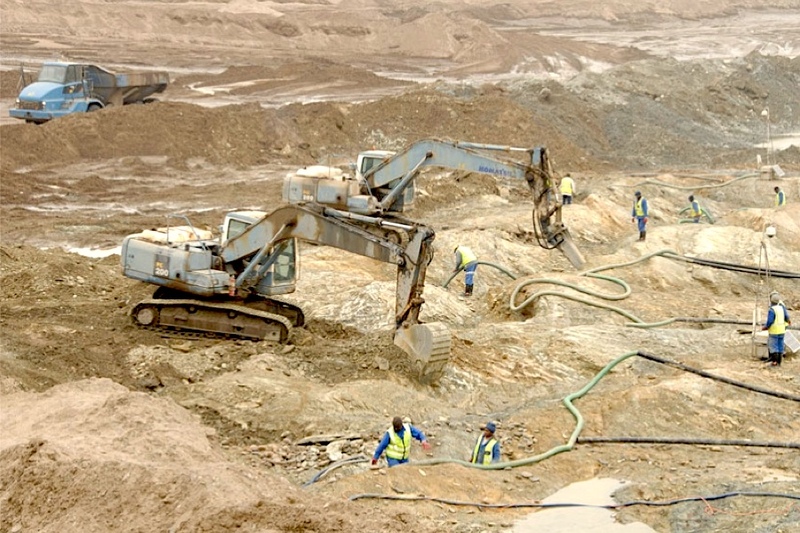 Namibia's top diamond producer, Namdeb, a 50/50 joint venture company between the country’s government and De Beers it’s selling its Elizabeth Bay mine in a move that will affect at least 130 of its 1,700 employees. The announcement comes three weeks after the company wrote to staff offering voluntary redundancies, saying the move sought to ensure the sustainability of Namdeb land-based operations. "Following a recent review, it was concluded that the best way to secure a longer future for the mine, beyond the current projected 2019 life, is to find a more suitable operator," spokeswoman Pauline Thomas said in a statement. Elizabeth Bay mine produced about 200,000 carats last year and employs roughly 160 people. Elizabeth Bay mine, located along the southwestern coast of Namibia near the town of Luderitz, produced around 200,000 carats in 2017 and employs roughly 160 people. "We are focused on finding a buyer that can sustain operations beyond 2019, protect jobs and contribute sustainably to the Namibian economy,” Riaan Burger, Nameb chief executive officer, said in a statement. In 2009, following the economic downturn, the mine was put on care and maintenance. Two years later, the operation was restarted through the implementation of an optimization project which, at the time, projected a four-year life of mine to 2014. However, De Beers said in a statement, continuous innovation have extended the life of the mine to 2019. Namdeb's operations include land-based mines, as well as Debmarine Namibia, which looks for diamonds offshore. Land-based production reached 404,000 carats in 2016, while output at Debmarine — which includes five vessels that dig diamonds from the ocean floor — stood at 1.2 million carats. Diamond mining accounts for roughly 20% of the southern African country’s export earnings.